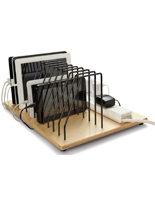 This multi-device charging station gives you the ability to power up multiple electronics at once! 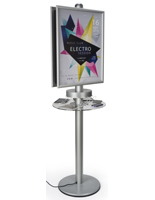 With ten cords featuring five micro-USB and five lightning heads, you can recharge almost any brand on the market. 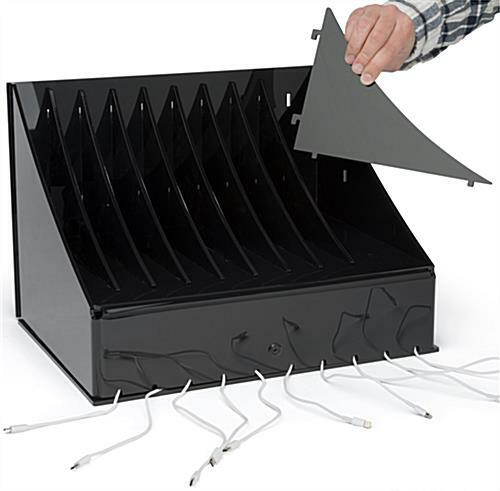 The black charging station includes removable pocket dividers to accommodate larger electronics with heavy duty cases. 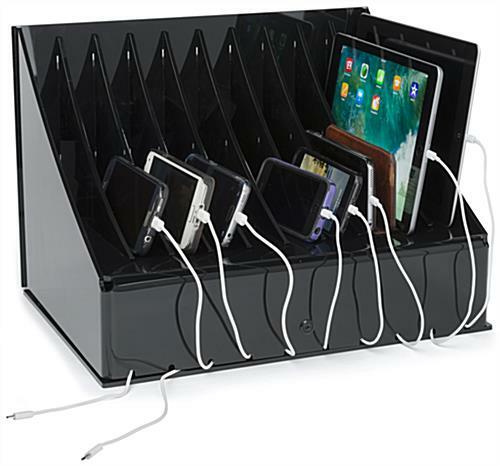 With the holder’s cable management system you can effectively charge multiple phones or tablets at once without tangling. 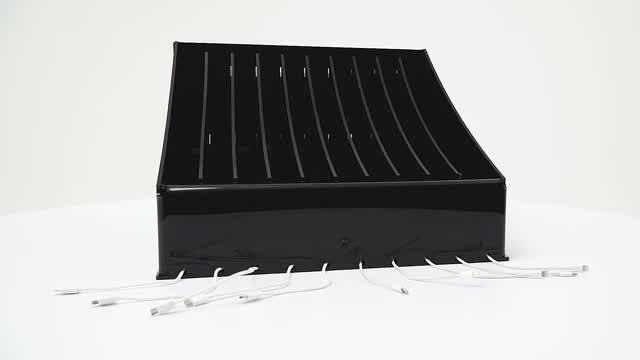 The charging station is equipped with four rubber bumpers on the bottom as well as four holes to screw the unit to the table for a secure fixture. 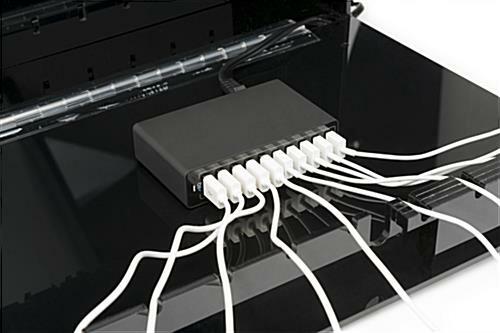 Included are ten cords compatible with multiple electronics utilizing Apple® Lightning and micro-USB connectors. 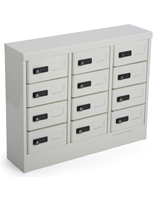 15.2" x 11.0" x 11.6"
1.5" x 7.5" x 11.5"
Purchased this item for use in our break room at our warehouse, this item is 100% as described and works well. Everyone loves it and appreciative of a product like this. Cable length is good, and great quality. Thanks for the awesome review, Darron! 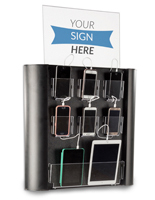 The break room is a great spot for this charging station, and an investment like this really shows that you value the convenience of your employees. 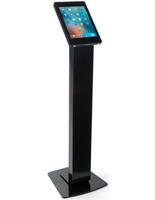 We hope you continue to use Displays2go for your business needs! 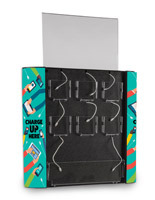 It comes with a powered 10 port USB Block with 5 micro usb and 5 Apple Lightning connectors / USB Cables. 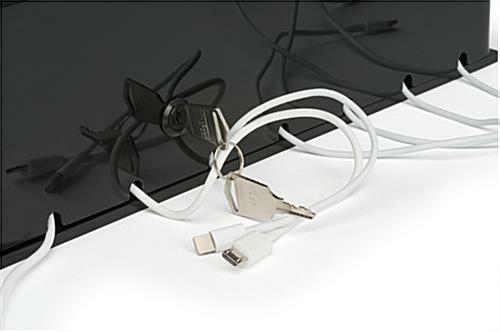 I charge many different items including watches; ear buds; iPods ; GPS; Emergency Radio etc so I was not able to use most of the cables the units comes with. When the station is filled with units charging, the wiring can look a mess. 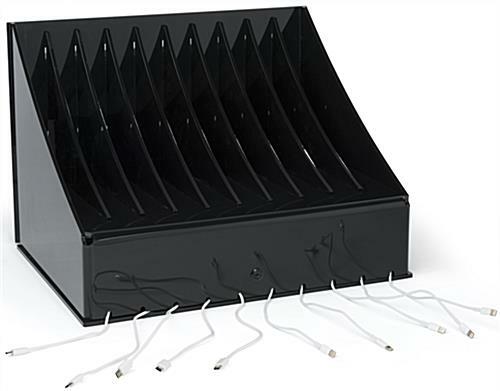 Perhaps the unit can be improved with some wire management like running the wires beneath or to the rear of the station? 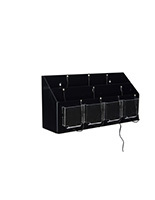 Big plus for me was the adjustable slots to accommodate wide (radio) and odd shaped items (ear buds & watches & GPS (Golf). Thank you so much for sharing your picture and feedback, Jim! We will certainly be passing your insight along to our product designers for review. We appreciate you taking the time to let us know your thoughts! Well I received my package yesterday and in one word "impressive". The quality of packing was unbelievable it truly spoke to the level of care they have for their products and their reputation. 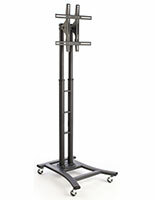 I was beyond impressed with the quality of the product itself too it far exceeds anything out on the market!